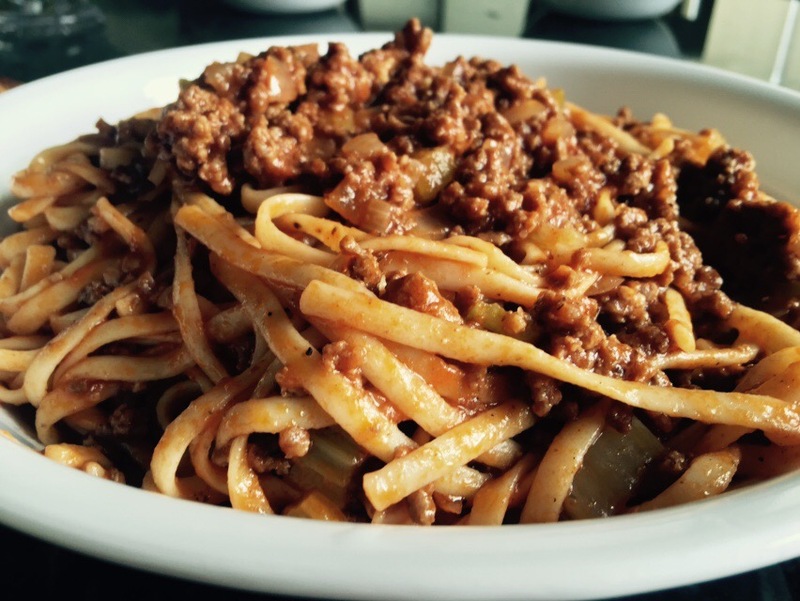 The ultimate comfort food….savory beef In tomato sauce, with a garlicky bite and a little kick from red pepper flake, Pasta alla Bella is a kid-friendly “spaghetti” recipe that is sure to make your friends and family feel loved. I cook spaghetti every week in my home… because it is so easy to make, it is economical, and mostly because it is simply delicious. I named this dish after my 7 year old daughter Bella because she LOVES it, but also because of a couple of kid-friendly tweaks I made in an effort to get her to eat more meat. Bella is nearly a vegetarian. In the past, she has actually sat down with a cup of raw white onions and ate them like chips. 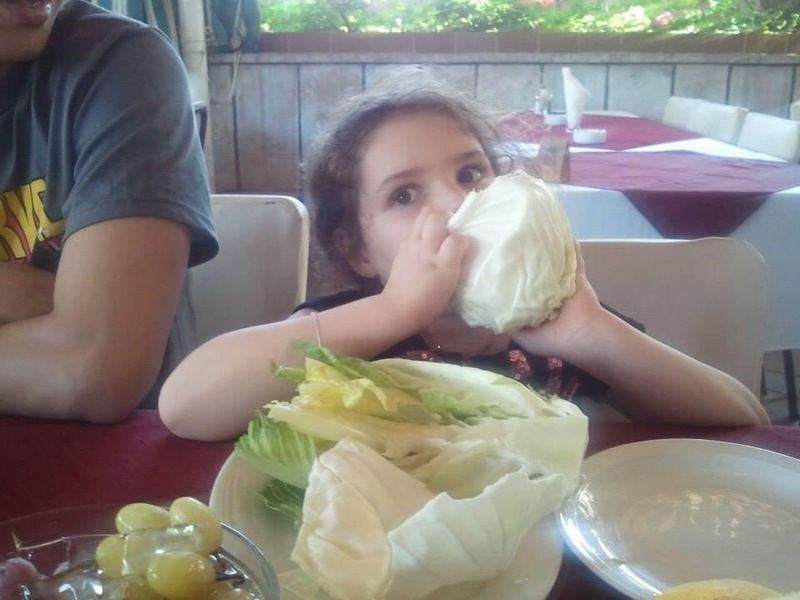 And she has eaten a head of cabbage as if it were an apple. Bella has never met a vegetable she didn’t like. But meat….that is another story. 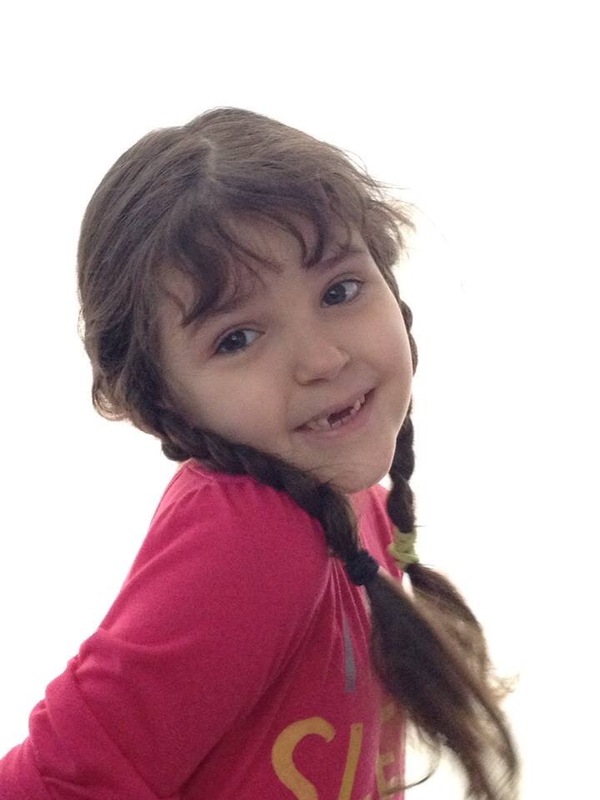 There are only a few meat dishes this little girl likes and Pasta alla Bella is on top of the list. It is sure to please your picky eaters (young and old) as well. 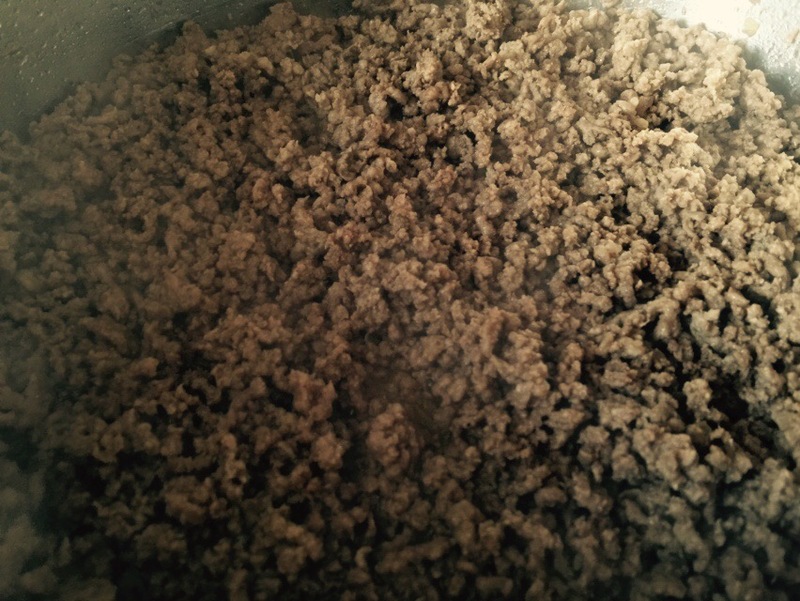 2 pounds 80/20 ground beef chuck (I highly recommend this cut over regular ground beef because I believe this is the most flavorful…it may be cheaper too). If you prefer to use a leaner cut of meat, you may need to add olive oil earlier in the process to avoid dry meat. Rinse the celery stalks well. 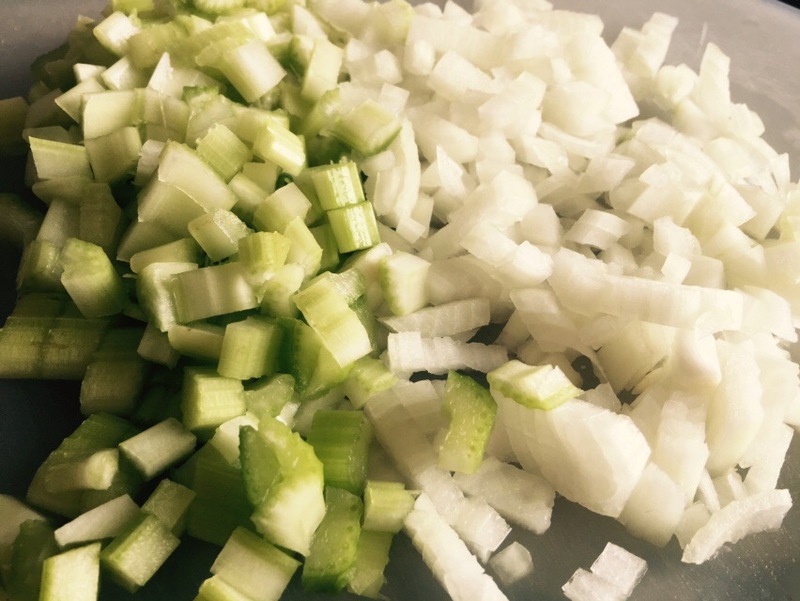 Chop the onion and celery on a vegetable cutting board into about half inch chunks (do not dice). They should be large enough to retain a little crispness through the cooking process. Crush the garlic. 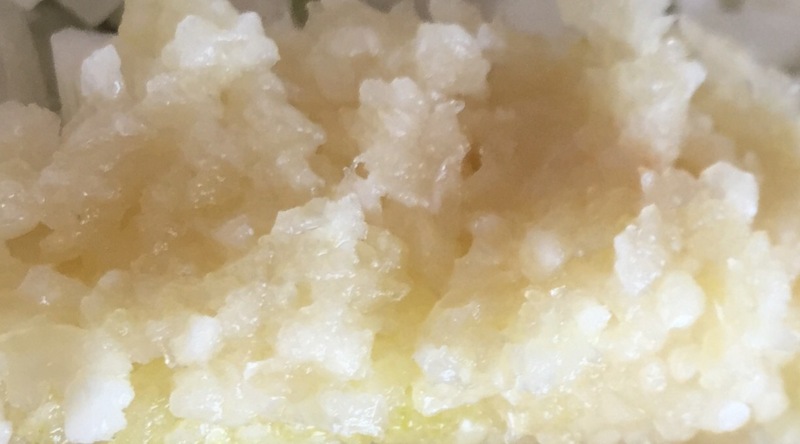 Although you can use a knife, mortar and pestle, or microplane for this, I highly recommend a garlic press because it is so much simpler and you get the perfect size. Plus you don’t get garlic smelling fingers. Cook beef in a large deep skillet until lightly browned. As the meat cooks, continually crush it into the smallest pieces (this is another one of the kid friendly tweaks and it results in a tastier dish since it allows the flavored to penetrate the meat and you don’t get random chunks of “plain ole meat” as you eat your pasta). I use a flat wooden spoon and hold it vertically and break up the meat using an up and down motion (sort of like using an ice pick to break up ice). 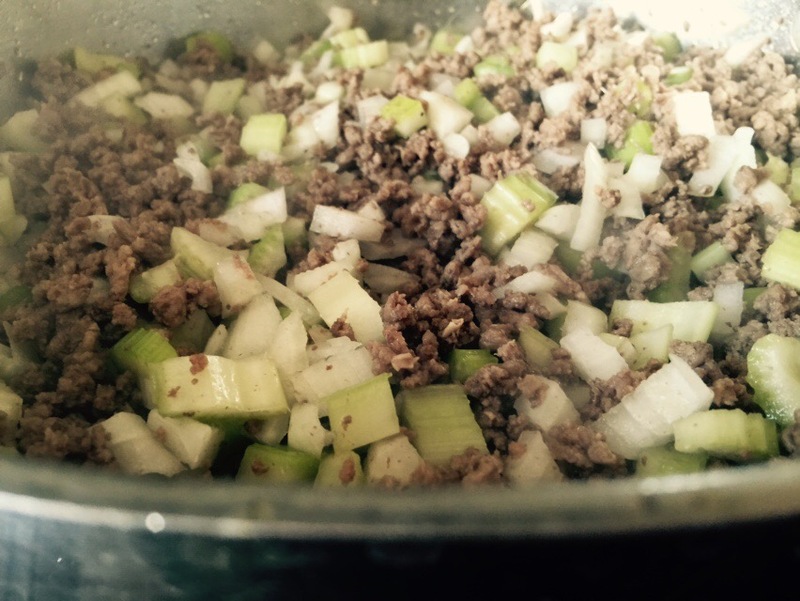 Once the meat is lightly browned (no pink remaining, but not overly done), add chopped onion and celery and sautee till the vegetables are translucent (about 10 minutes). Any fat should evaporate off (if not, depending on your cut of meat, simply drain the fat and discard). Add 3 tablespoons extra virgin olive oil and stir. Add salt, pepper, and crushed garlic and stir. Add 6 to 8 twists from a red pepper mill and stir. The red pepper adds a special warmth to the dish but if you are very spice adverse start with a few twists or feel free to omit (or add more if you dare). Add Parmesan cheese. Stir. Add tomato sauce and stir. Add 1/2 cup of water to the empty tomato sauce can and swish it around to mix with any sauce left in the can and then pour into the beef and stir again. Taste the sauce for desired levels of salt and red pepper and adjust as desired. Bring to a boil then reduce heat to the lowest heat setting and cover with a tight fitting lid while the pasta cooks, stirring occasionally. Bring a large deep pot of water to a boil. Add 1 tablespoon olive oil and 1 teaspoon salt to the water. Break the pasta in half with your hands (another kid friendly tweak) and add to the boiling water. Using long tongs, move the pasta around in the water to ensure it does not stick together. Boil the pasta for 9 minutes or as shown on the box for al dente pasta. 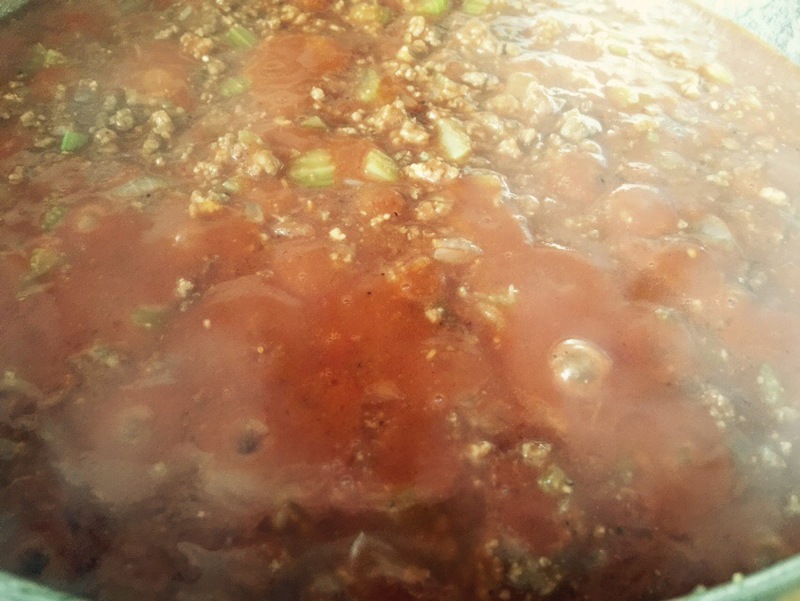 Note: I prepare the meat sauce first because I like the sauce to simmer slowly to develop the flavors and also because I don’t want to stress about the pasta finishing first (and either sticking together or bloating before the sauce is ready to receive it). But if you are pressed for time, feel free to put the pot of water on to boil as you brown the meat. Using tongs, remove the pasta from the boiling water and place directly into the sauce (this allows a little of the starchy boiling water to marry the pasta and the sauce together). Stir pasta and sauce to thoroughly combine. Serve with garlic bread and salad and enjoy! I tried the recipe. I tweaked it for my family by cutting the recipe in half. I also added mushrooms and simmered it in the crock pot. I added the pasta right before I served. It was good and I will do this again. I have been pondering something. Do you think the sauce minus the pasta could be frozen for a quick dinner night?